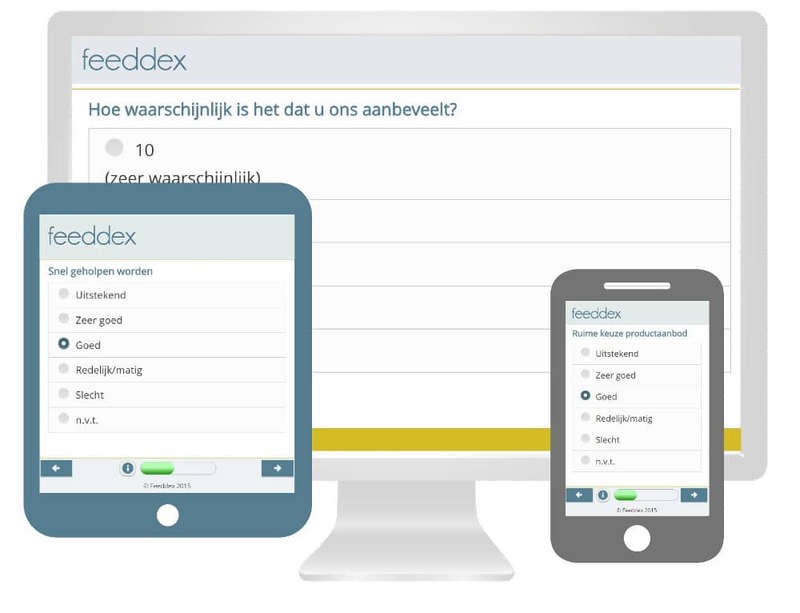 Feeddex services customers in 9 countries with a state of the art multilingual application and excellent support. Feeddex offers you software, implementation and support to carry out successfully customer satisfaction surveys. The customer journey is our entry-point for determining the touch points and inviting the customer for feedback. 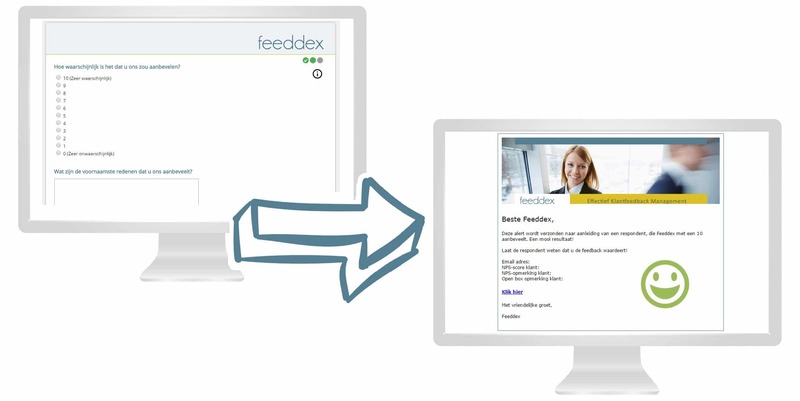 With Feeddex you have continuous insight into the feedback from your customers after important touch points. This way, improving customer satisfaction in your organization remains priority. 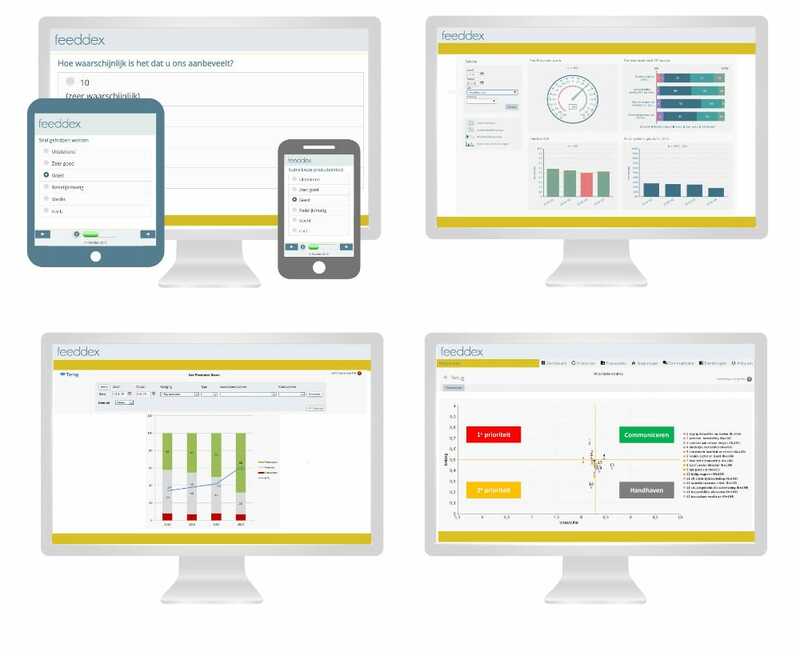 Through real-time online dashboards and multiple reports you have insights into the customers wishes at different levels, per process, per department, per business unit or per employee. The Feeddex-approach is unique in the guidance and support we offer our customers. We have experience since 2001 in successfully conducting customer satisfaction surveys and embedding the customer feedback in organizations to improve customer satisfaction. Inquire customer feedback is possible via various channels and devices. All questionnaires and dashboards are responsive and therefore suitable for every device. Moreover, various channels can also be used to inquire customer feedback: just by e-mail, but also by means of SMS, in-app, social media and even by telephone. Almost everything is possible. Feeddex offers the possibility to automatically send alerts to employees. For example, when a customer leaves a negative NPS score or when an important customer demands immediate contact. These issues are collected in the extensive issue management module of the tool. Feeddex works with in-house software and has its own IT-department. In this way our software is flexible for your customization requirements (e.g. integration with your CRM or marketing automation tooling).